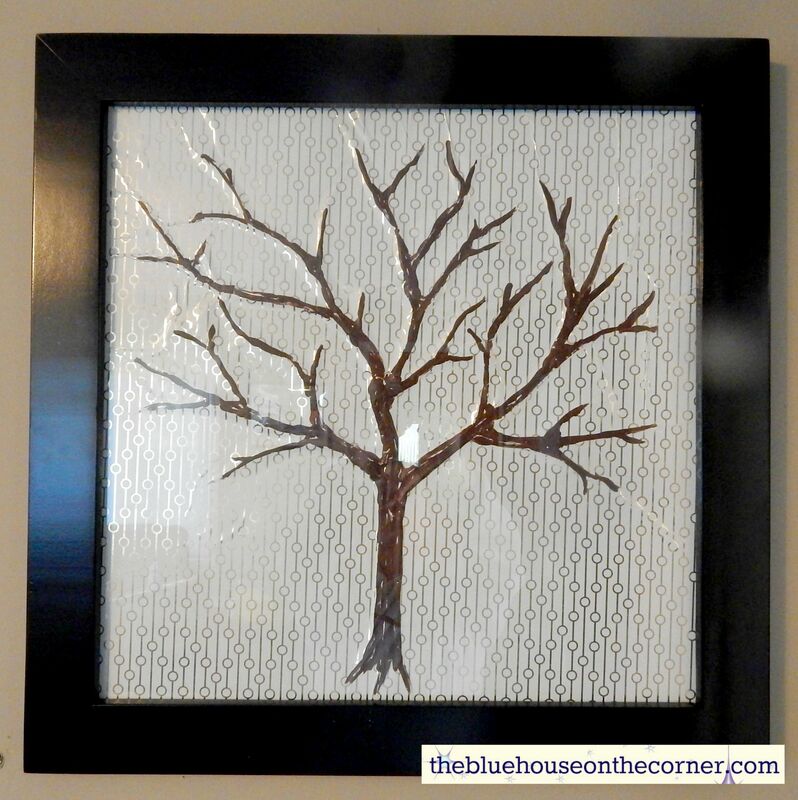 Cut your poster board to the size of the frame you have. 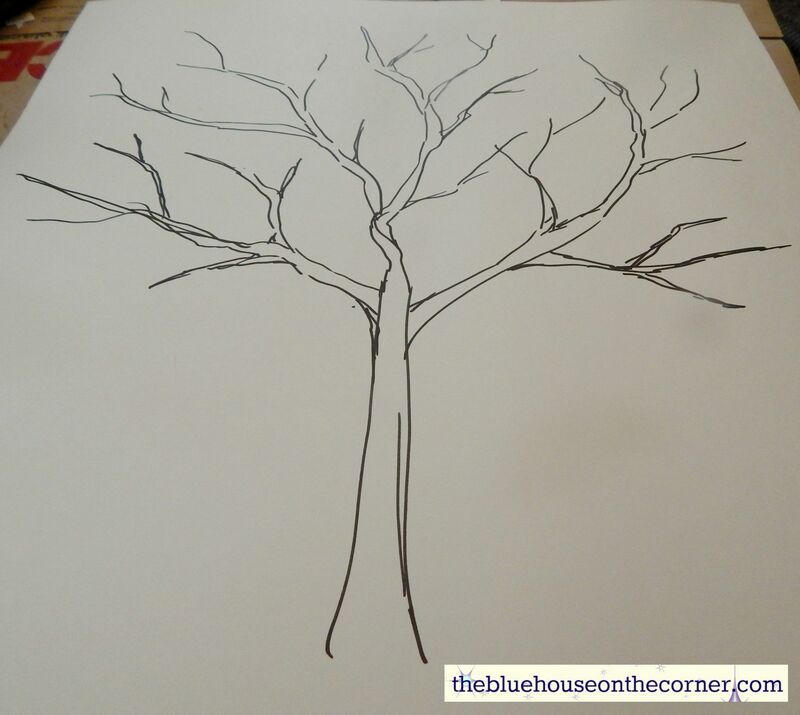 Draw a tree. You could do any shape that you would like. I have only tried this with a tree so don’t know how other shapes would look. If you try a different shape I would love to see your final project! Cut different lengths of string. The lengths aren’t too important. The more random the better! 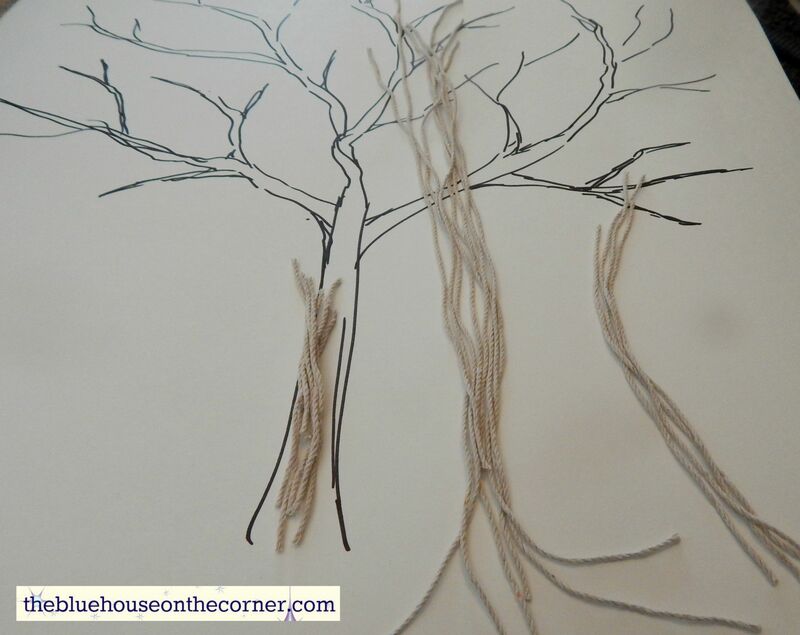 Glue the string pieces onto the tree. 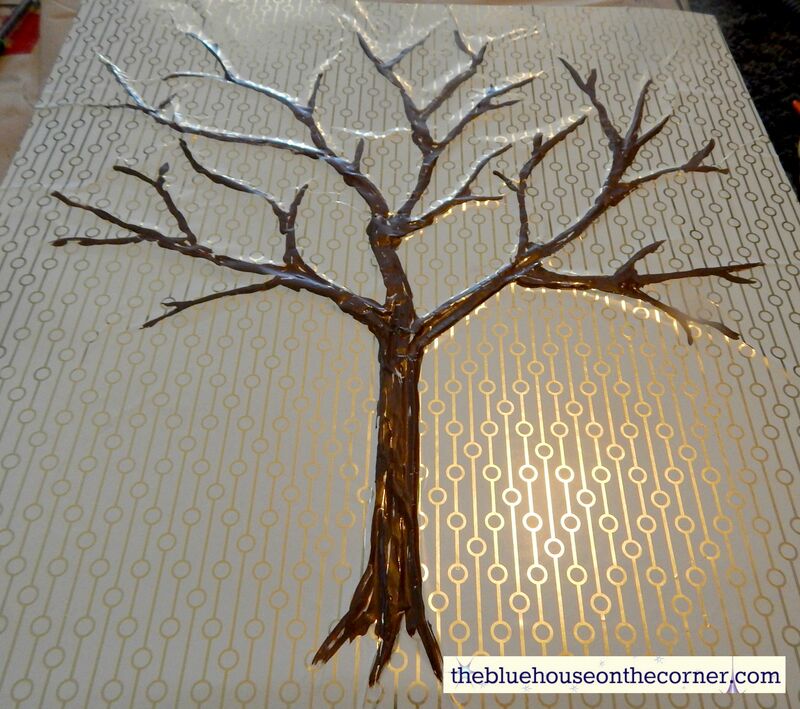 I used a spray adhesive for this project but you can use any craft glue. 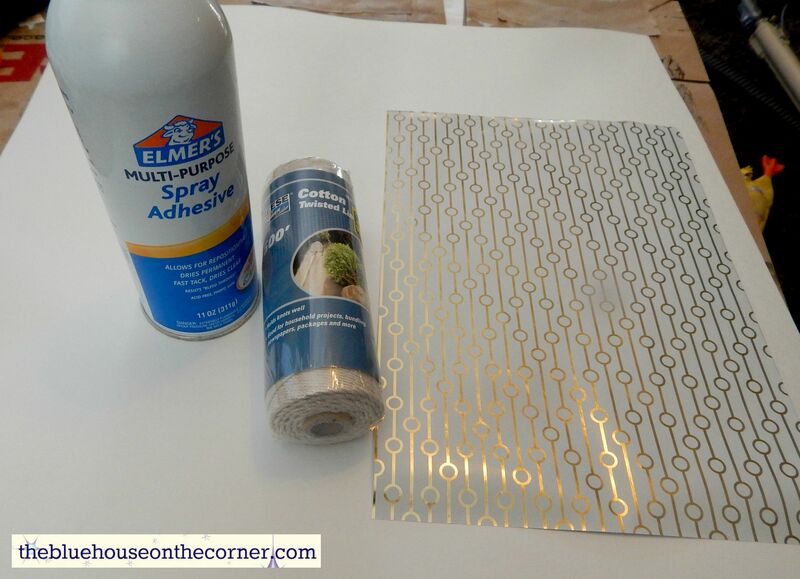 I liked the spray adhesive because it dries fast and it worked best for the next step. I used wrapping paper for this step because it was thin and easy to manipulate around the string. 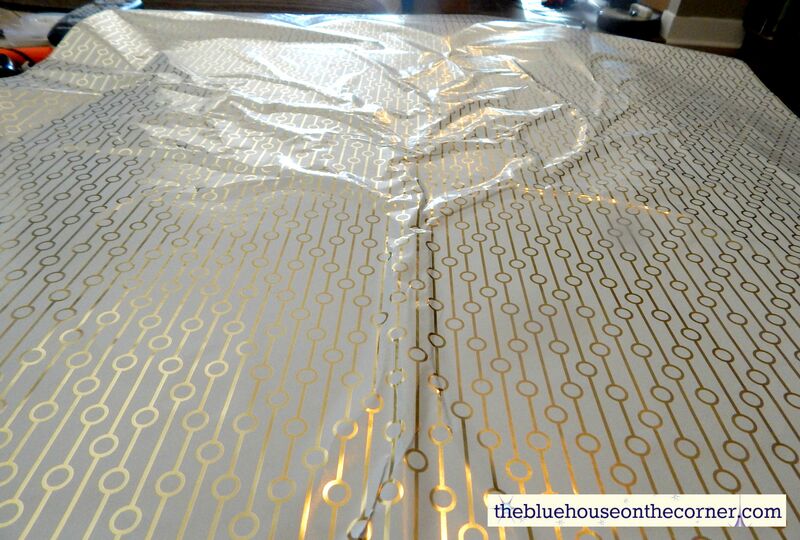 I found this amazing metallic white and gold wrapping paper at Ikea, which is a seasonal product, so you may not be able to find it any more. Cut the wrapping paper larger than your poster board. I left myself about 6 inches on either side just to be sure. Spray adhesive the entire poster board and string, extra on the string I found worked the best. Starting from the center of the poster board and the wrapping paper, press the paper onto string and board. Pushing the paper around the risen string as much as possible. Some of the creases will continue on to the flat surfaces, just try and smooth them out as much as you can. Just remember this isn’t meant to be perfect! Paint! You can use any craft paint. I had some left over exterior paint in a dark brown that I figured I would use up. 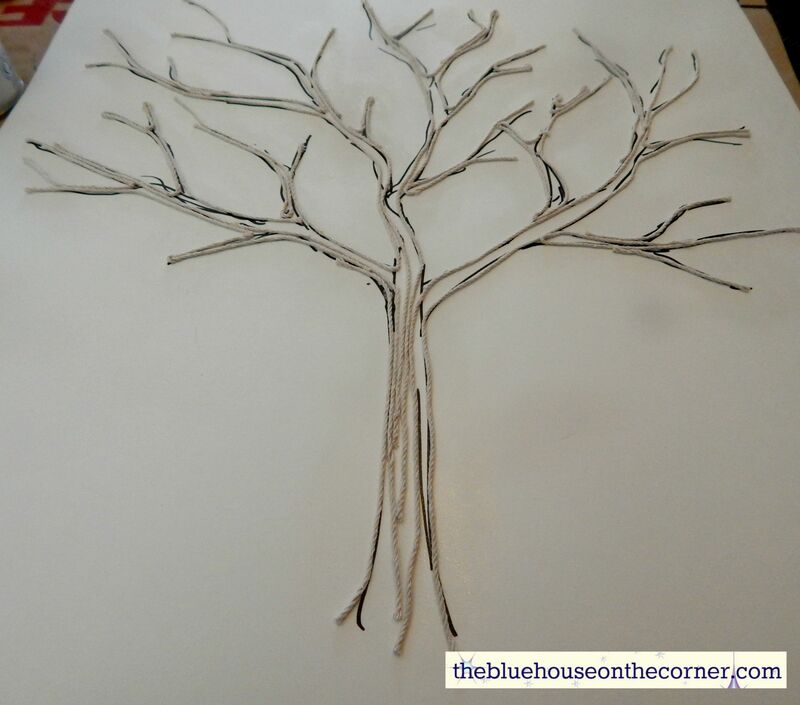 I took a brush and painted just the raised parts of the tree. It was difficult to get a solid look from the paint, so I left parts unpainted and patchy, which I feel looks better! 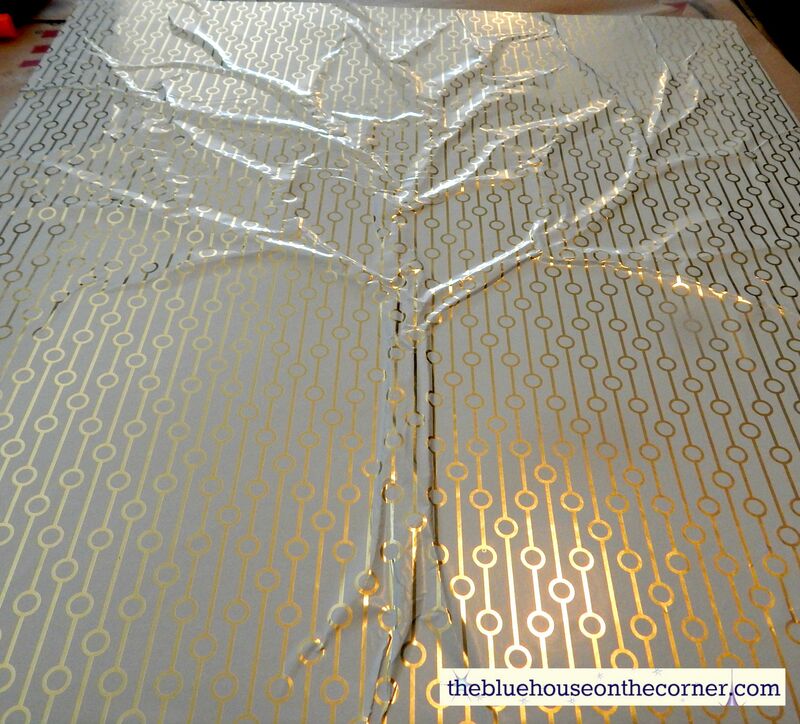 Cut off all the extra wrapping paper from the poster board and frame your new beautiful art piece, hang up and enjoy! Thanks everyone for checking out my work! 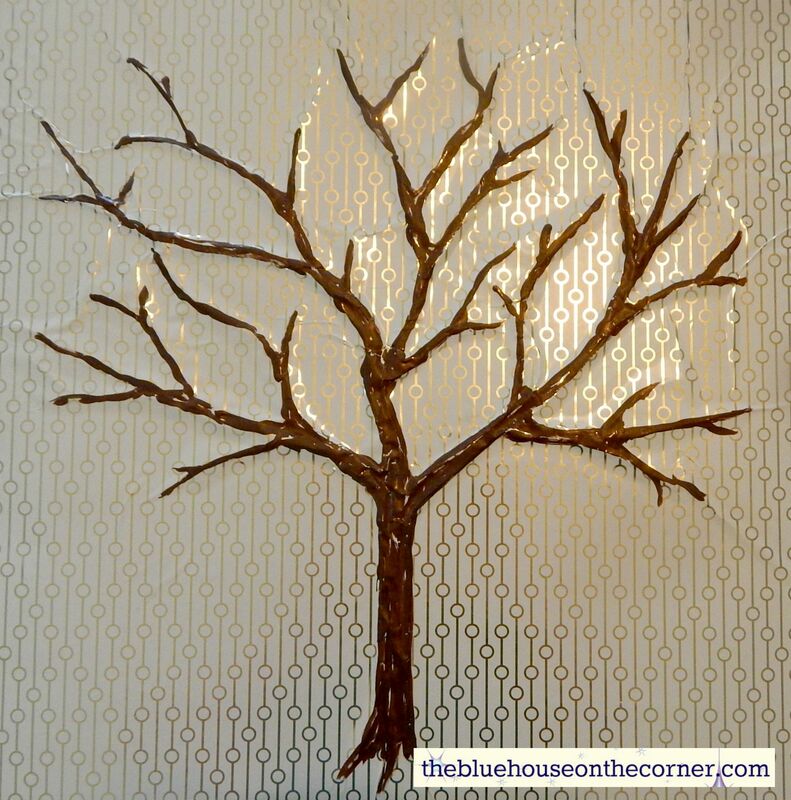 Check back again to see more from the blue house on the corner.